How cool is this idea from Joyful Events? I love the idea of a dessert table with a pretty design behind it, but I have never seen it executed like this! What a fun, easy, high impact way to highlight a table. And what about using something like this as a backdrop for a photo booth station? Perfectly easy and perfectly darling. And yes, this too I shall be copying soon… like maybe tomorrow. 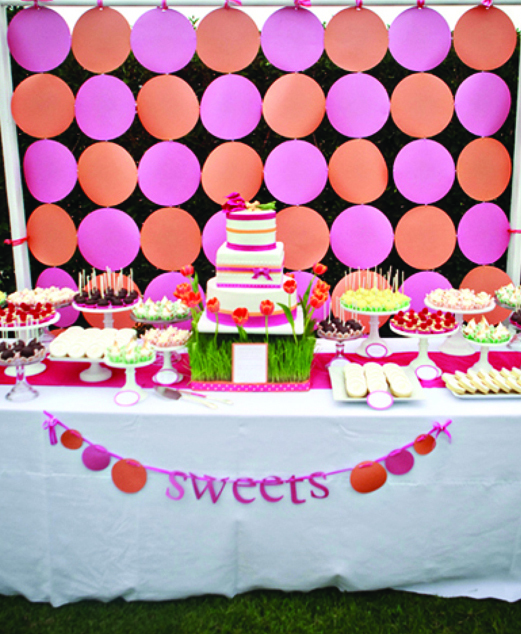 This entry was posted in idea thief and tagged cake table, circle backdrop cake table, joyful events, party blog by Annika. Bookmark the permalink.